The FBI announced last week that it had busted a major international cyber crime network after arresting more than 90 suspected members of the ring in the US alone. The FBI said that the suspects worked as so-called mules for hackers, who were based in Eastern Europe and used malware to hack US computers and succeeded in stealing around $70m. Some people were detained in Ukraine and the UK as well. FBI officials said the arrests were part of "one of the largest cyber criminal cases we have ever investigated". A US Attorney said that the people arrested in the US have been charged with conspiracy to commit bank fraud and money laundering. 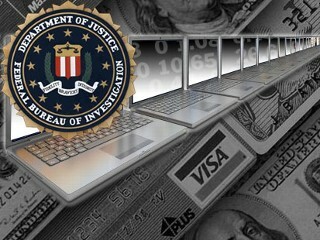 The FBI added that the hackers were planning to steal around $220 million. The operation to nab these international hackers kicked off in Omaha in May last year when FBI agents noticed a row of suspicious bank transactions. Officials from the US, Ukraine, the Netherlands and the UK were involved in the investigation. The hackers used malware contained in seemingly benign e-mails to the victims to carry out their activities.